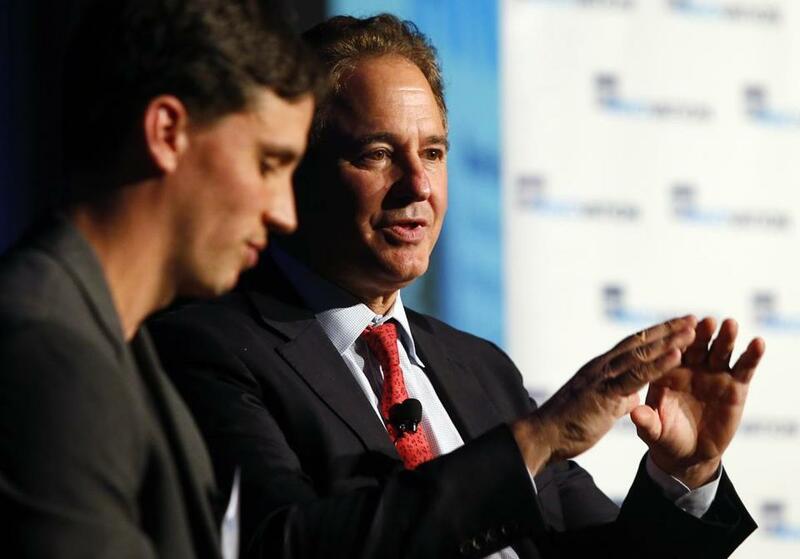 Steve Pagliuca, Boston 2024 chairman, spoke in South Boston on Tuesday. Boston 2024 is expected to float the idea Wednesday of holding beach volleyball, one of the most popular Olympic events, at Squantum Point Park in Quincy, according to people familiar with the plans. Those plans are apparently not final, they said, and depend on how the community receives the proposal to host the event. Boston 2024, the local Olympic bid committee, declined to comment Tuesday night. The area has a history with the sport: the Association of Volleyball Professionals played a four-day tournament there in 2007. Beach volleyball had originally been proposed for Boston Common, a historic spot where Olympic planners figured the State House would make a great background for TV coverage. The idea was cribbed from the London’s 2012 Summer Games, where beach volleyball was played in a temporary stadium in Horse Guards Parade ground in Central London. But the Common proposal seemed to raise more opposition from the public than any other venue. The Friends of the Public Garden board of directors, for instance, asked the bid committee in March to move beach volleyball, which had been proposed for a 16,000-seat temporary stadium on the Common. The committee has begun releasing venue proposals this month from its new finance and venue plan, which Boston 2024 has promised to unveil in full by the end of June. The committee announced the previous venues, such as sailing in New Bedford and tennis in Dorchester, in a less tentative way. In remarks Tuesday afternoon, Steve Pagliuca, chairman of Boston 2024, pleaded for patience and for a “robust public debate” on the bid committee’s new budget and venue plan. Pagliuca spoke without notes, responding to questions from Chase Garbarino, cofounder and chair of Streetwise Media. Boston 2024 is listed among the sponsors of the event. Pagliuca said “the numbers seem to say” Boston could host affordable Games that make money. In part through lucrative TV and sponsorship deals, the host committee could see up to $5 billion in revenue, he said. At the same time, the International Olympic Committee approved reforms last year designed to reduce the cost of staging the Games. He said other US cities have defied skeptics by holding successful Olympics, so why can’t Boston? Los Angeles, Atlanta, and Salt Lake City “came out with Games that made a profit and transformed [those] cities,” he said. In response, Chris Dempsey, a cochair of the opposition group No Boston Olympics, said the committee’s original revenue plan from January was not financially balanced and would have put taxpayers on the hook for cost overruns. “Boston 2024 has had more than two years to produce a plan that works — what’s the holdup?” Dempsey said in a statement. Pagliuca suggested the Olympics could be one of the most potent economic development opportunities for Boston in decades. He said the committee’s new Olympic operating budget will project a surplus and that there would be no displacement of residents to build Olympic venues; displacements have raised controversies in past Olympics, such as London 2012. More venues are expected to be proposed outside of Boston as the new venue plan is rolled out, leading critics to suggest the bid committee has abandoned its philosophy of staging a “walkable” Olympics with most venues within a short walk of transit stations in and around the city. Pagliuca said “we’re still going to have a compact Games,” with most venues — 25 or more — in the immediate Boston area. The most important parts of the new venue plan are yet to be released, including more detailed projections of Olympic costs and revenues, and specific plans for an Olympic stadium at Widett Circle and an athletes village at UMass Boston. A conceptual drawing shows what the beach volleyball venue might look like.